Happy Memorial Day everyone! Today I'm bringing you a post by Kallie from But First, Coffee. 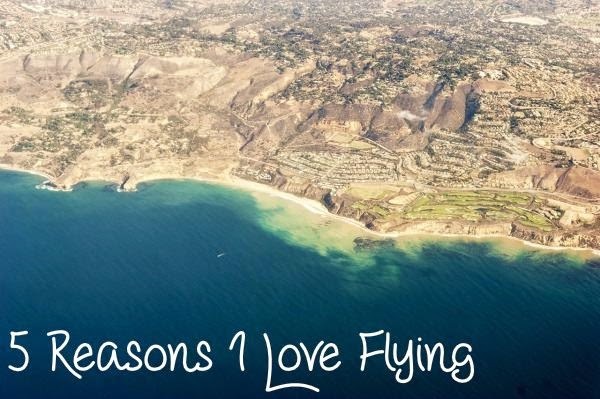 Kallie blogs about all my favorite topics and I always love reading her posts. I was so happy when she said she would do a post for me while I am abroad because I knew she would do an amazing post and I was right! I love that she did a travel themed posts and even mentions the bag that I purchased as my carry on bag for this trip. After you're done reading over here, make sure to check out But First, Coffee! Hi all! My name is Kallie and I blog over at But First, Coffee. I like to write about all sorts of things like beauty products, fashion, life, D.I.Y and recipes! Thanks to Kristin for letting me take over her blog for the day. I figured since Kristin if off jet-setting, it'd be appropriate to share some cute carry-on bags for flying. I chose some splurge bags and some save bags, to give your wallet a little choice in the matter. 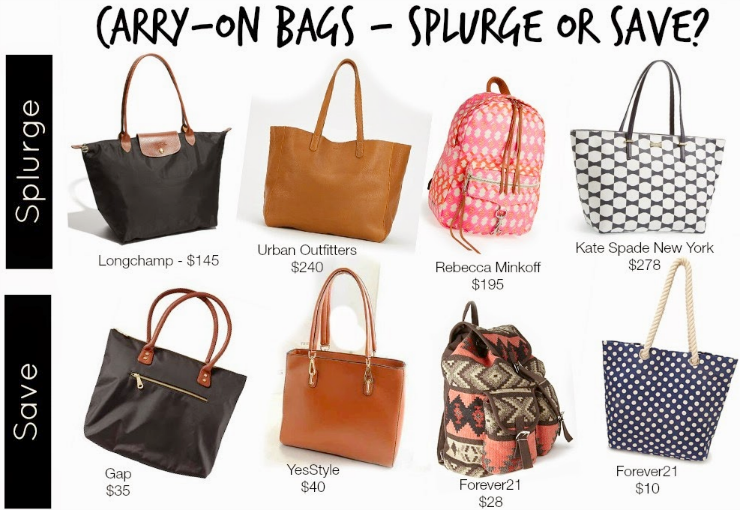 Splurge Three: Rebecca Minkoff "M.A.B Backpack" Save Three:Forever 21 "Rustic West Backpack"
Splurge Four: Kate Spade New York "Bow Tie Tote" Save Four: Forever 21 "Canvas Polka Dot Tote"
Which carry-on style are you most likely to go for? What are some of your must-have items in your carry on bag? Thanks again to Kristin for giving me a chance to post on her lovely blog today! 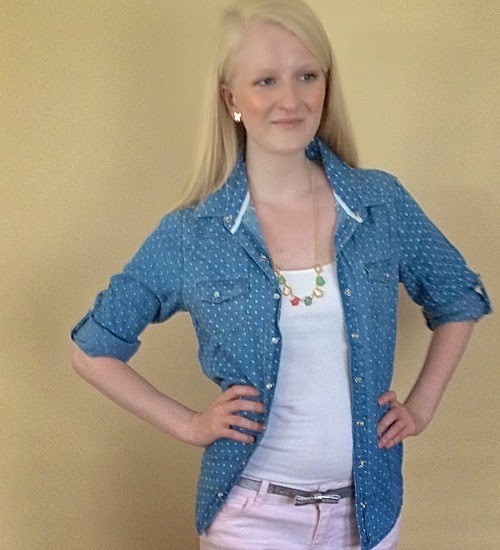 I love how this shirt puts a spin on the classic chambray shirt by adding polka dots. 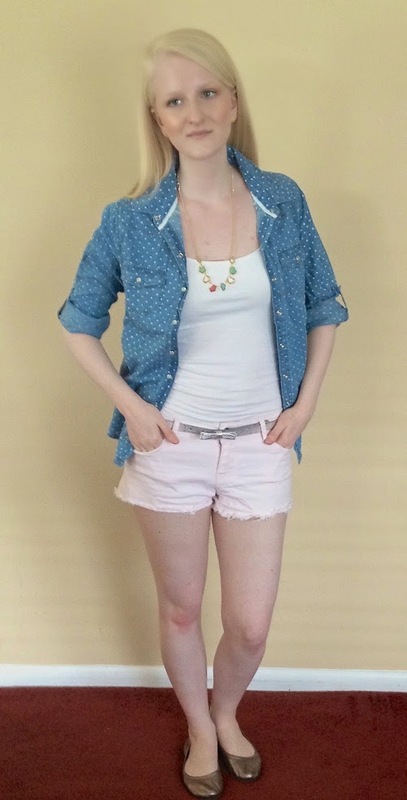 I love chambray and I love polka dots so it is a match made in heaven for me. 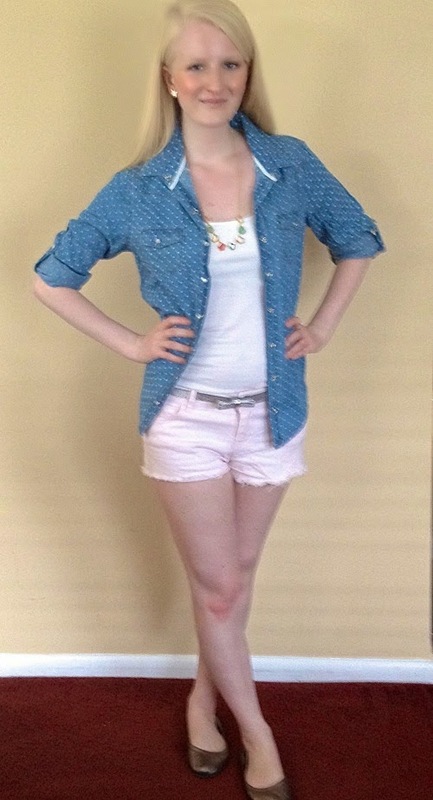 Make sure to head over to WallFlower Jeans to check out this adorable piece! It's super versatile and perfect for this time of year. Colored denim is still huge this year and shorts are a great way to rock this trend. The pair I am wearing is one of my favorites that I wear all summer long. 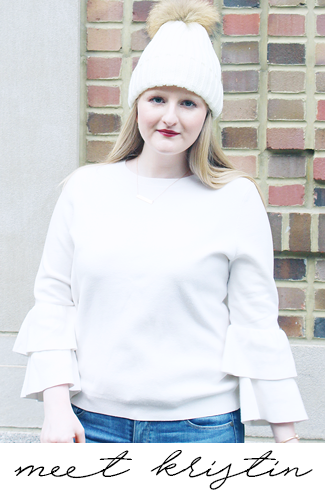 This whole look is fun and easy to throw on for class, weekends, or a casual dinner. It is perfect to carry you from Spring to Summer, and to wear well into the warmer months. 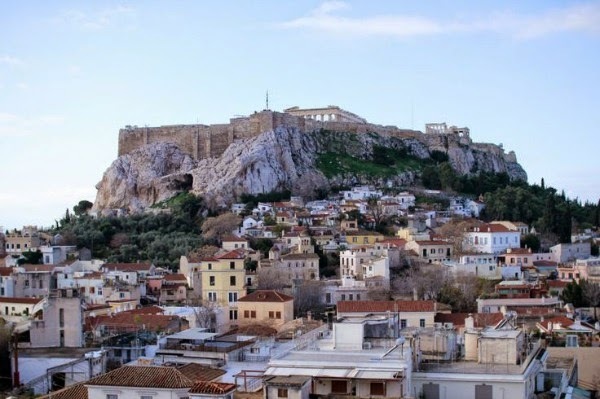 So as you're reading this I am most likely finishing getting ready to leave for Greece, enroute to the airport, on a plane heading to Greece, etc.! To say that I am excited is an understatement. I can. not. wait. Seriously, I'm like a kid on Christmas morning. Packing yesterday was interesting, but my Mom and I got it done! I'm trying to take notes so that I can do a what to pack post when I get back, but I want to see how well what I brought works. Over the next few weeks my posts may be a little more sporadic than usual (ie not every single day), but I will still have regular posts. I just ask that you bear with me as I head on one of the most exciting experiences of my life. I can't wait to share everything with all of you, however I want to spend time exploring (so I have stuff to share!) 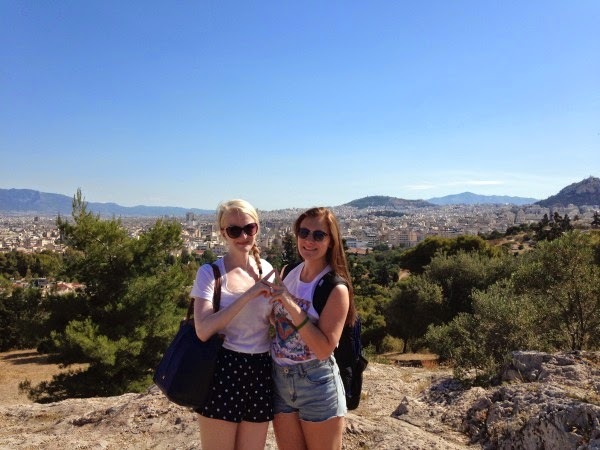 and need to spend time on my schoolwork while in Greece. I'm going to try to post as often as I can, but I want to be conscious to enjoy the experience and be in the moment. 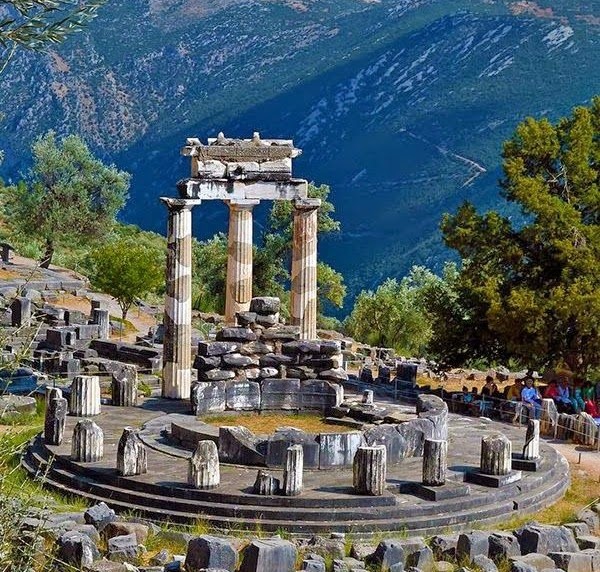 Over the next 6 weeks I will be visiting Athens, Tolo, Mykonos, Crete, Santorini, and Delphi. 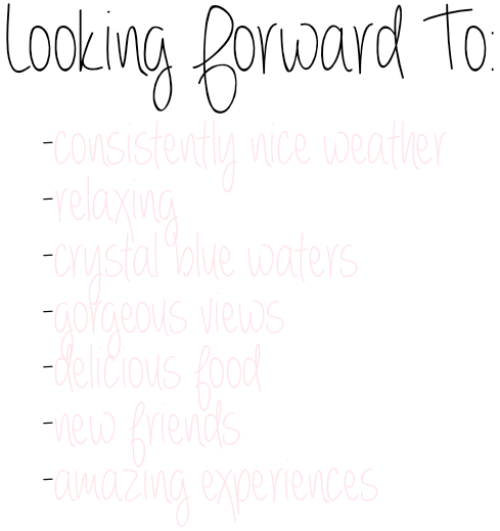 I have a jam-packed schedule and so many cool things awaiting. With all this wonderfulness ahead I don't know how I haven't exploded! All I have left to say is goodbye America and hello Greece! I hope that everyone has a great day and that you'll stop by during the week! I participated in an Ambassador Program on behalf of Millennial Central (#MC) for Marriott Rewards. I received Marriott Points to facilitate my review as well as a promotional item to thank me for my participation. As I mentioned in my video Marriott Rewards® is turning the big 3-0 this year and wants to celebrate with its members all year long with their Year of Surprises contest. To celebrate they want to throw a surprise party for someone special in your life! Head over to yearofsurprises.com to nominate that special someone by telling Marriott Rewards your unique storyand a memorable party idea. The first round of nominations was back in February (see my post here! ), the next round is May 1st to May 31st, aka you can go enter right now, and the final round is August 1st to 31st. Marriott Rewards is looking for the most creative and unique entries out there so let your creativity flow! All of the details and rules for the contest can be found at yearofsurprises.com/rules. While you do not need to be a Marriott Rewards member to enter the contest, you will need to enroll if you are selected as a winner. My personal suggestion is to enroll now though because of all of the awesome benefits that come with the free membership! In addition to the benefits I mentioned in the video, you are able to use your points for hotel stays (like I did! ), flights, exclusive events, and shopping. You can check out all the specifics on benefits here. You can also enroll right now at marriott.com/rewards! I know who I will be nominating for Marriott Rewards Year of Surprises, do you?! 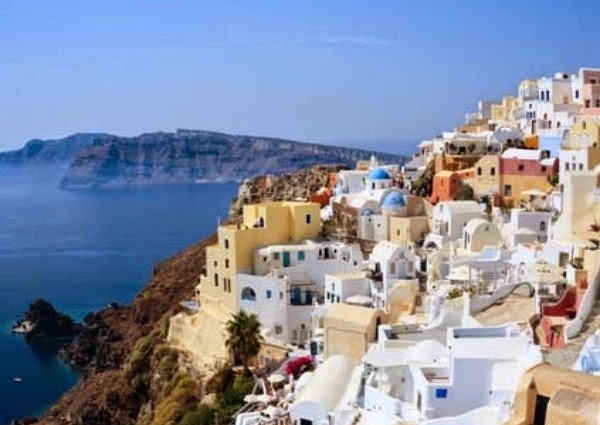 Since I am leaving for Greece so soon which I cannot believe I have been packing and dreaming of being on the beaches in the gorgeous Greek Islands. I am so excited that it is going to be warm enough to lounge around in a bikini. I have been looking around online at all different bathing suits in anticipation and have put together some of my favorite ones to share. There are so many different styles of bikini tops and bottoms that come together to make adorable bathing suits. I love the mixing and matching option that you get with a two piece. The suits here are perfect for a trip or the upcoming summer. There are a lot of pretty prints for bikinis like leopard and florals. I really like the pale blue and white leopard here because I feel like the pastel color sweetens the look of the leopard. If you're not feeling any patterns you can also go with bright solids for a stand out look. My favorite solid here is the coral and grey combo because I love the retro look of the top. No matter which you pick, in any of these looks you are sure to look super chic on the beach. What are your favorite bikini styles?